Attention Fleet Owners: Want to Save A LOT of Money? Then STOP wasting time… STOP self-fueling vehicles… and don’t even THINK about wasting another dime, until you read this! How Much Money Are You Wasting Right Now? Our GPS technology generates a virtual “fence” around your delivery site… which lets us track when (and where) each gallon of fuel is delivered. 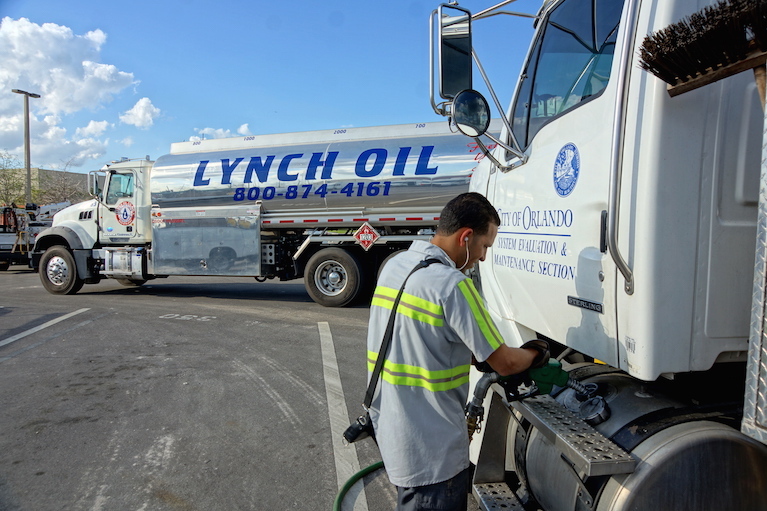 And with 99.9% reliability – proven over 43 years in the industry – you can rest easy knowing your fuel will be delivered on time. High speed loading rack for bulk fuels & lubes. So As You Can See: There’s Absolutely No Risk or Upfront Cost… Contact Us Today For Your Free Consultation and Reduce Your Fuel Costs By Up to 3%!